In our current economy many are questioning whether buying a house really is better than renting. But what about the benefits of home ownership, when considering whether you should rent or buy a house? –Have greater control of whether you stay or move – what if the landlord sells or raises the rent too high? –Depending on your area, you may be able to get more house for the same monthly expense. –Freedom to redecorate or remodel the way you like – it belongs to you. You could use a rent vs buy calculator to determine whether you should rent or buy a house, but it is comparing the conventional way people pay their mortgage vs. renting. What if you could build equity and pay your mortgage off quicker than the conventional method? We just accept the fact that people generally take out a 30 year mortgage, and with compound interest end up paying more than twice the initial price by the time the house is paid off. So even on a 6% interest mortgage, the effective interest rate is over 100%! For the first 5 years, most of your mortgage payment is going to pay interest, with little going to the principle, so financially, you may as well be renting. Using this system you get the benefits of home ownership and come way ahead financially – even in a slumping economy. For over 10 years, Australia has been utilizing this method and now more than 50% of the mortgages are done this way. The system was recently adapted to the U.S. banking system so now you can use “bankers’ math” to your advantage. Whether you currently are paying a mortgage on your home or you are considering your options in renting or buying, this system can help you maximize how you use your money. Given the fact that most people do not go through the buying process very many times throughout their life, they typically do not know what is involved, and it can be a little overwhelming. A mortgage professionals objective is to make the process as easy as possible. The purchase process begins with nothing more than a thought with most people. They wonder if they can even qualify to buy a house and if so, how much house they can buy for the money they have to spend. Everyone has a budget in mind and just needs some guidance on how to navigate through the process to identify which houses will work for them. A good mortgage professional will educate them on the options as they pertain to their individual needs. Once the right price range and the type of loan that best fits their needs has been established, it is time to find the right house. There are many advantages of buying a home instead of renting. The housing market is at or near the bottom according to the experts…the recovery has begun in the state of Texas! Obviously, the best time to buy is when prices are the lowest and beginning to go up. Other than the price, the interest rate has a major bearing on how much house you can buy for a particular payment. Mortgage rates are also at historical lows which enable you to purchase more house for the money and they are expected to rise in the near future. As far as down payment and cash needed to buy a home, there are still loan programs that allow for only 3.5% down payments, and depending on location, zero down loans are still possible. All of these are great reasons to purchase a home and make an investment instead of renting and having absolutely nothing to show for it when you are done. There are some great tax advantages associated with purchasing a home as well! As you can see, there are many benefits of buying a home. Contact me today to discuss the buying process. 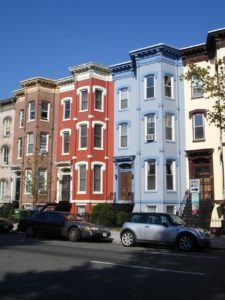 I specialize in assisting in the purchase of a variety of homes, from starter homes to million dollar luxury homes in Washington DC.